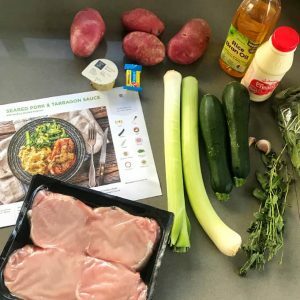 I had the pleasure of trying out a HelloFresh delivery box this week, the meals were delicious and a great fit for our family. It was so exciting coming home to find the HelloFresh box at my front doorstep. My two boys and I unpacked the box and were excited to find the meals packed separately into colour coded paper bags. This, along with the recipe cards made it super easy to see which meals we were going to make that week. The recipe cards were beautifully designed and had simple and easy to follow instructions. 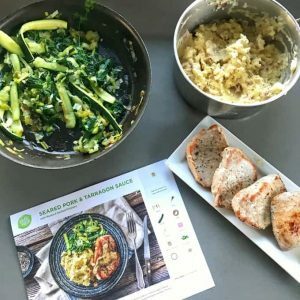 If you want to try HelloFresh for yourself I have a discount of $35 off your first box so just click here to claim the offer. It was so nice knowing that five meals for the week were already sorted and I didn’t have to make any decisions, they just turned up at the front door. 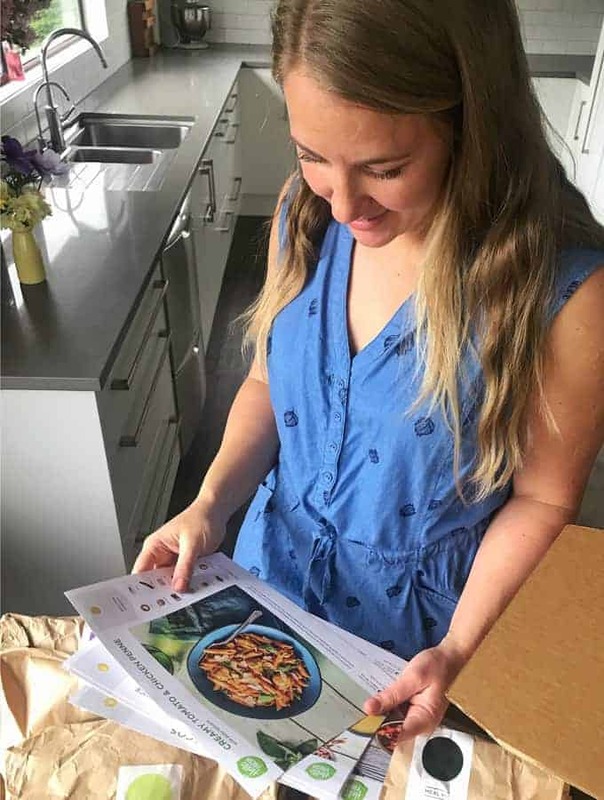 It was great using the HelloFresh app in advance to choose which meals I wanted that week and swap any that we didn’t want to try. 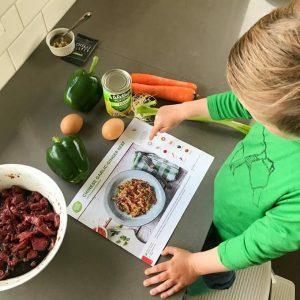 Before cooking each meal I got all of the ingredients out, my son Archie loved matching up the vegetables and ingredients to the ones on the recipe card. 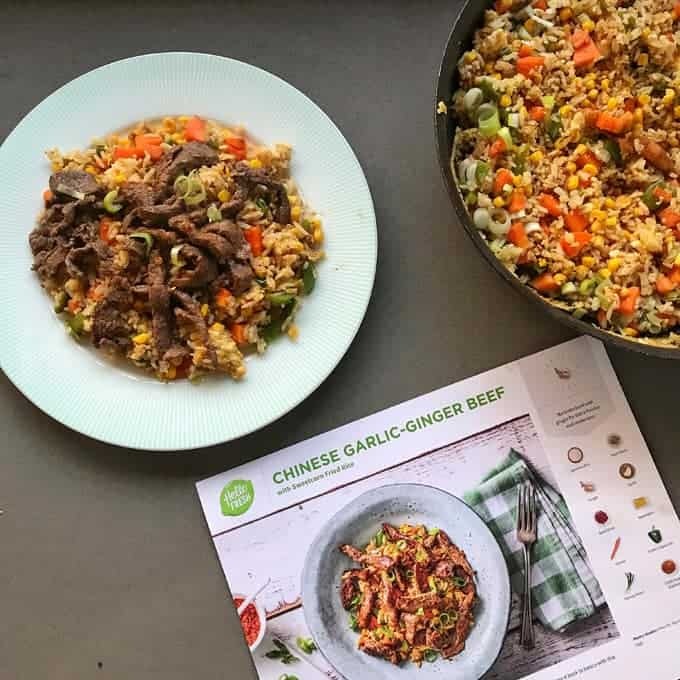 The first recipe we tried was the CHINESE GARLIC GINGER BEEF on top of fried rice, it was super delicious and I was really surprised by how much flavour was packed into one dish. Making this recipe taught me some great tips about cooking fried rice and marinating beef so I will definitely be using those tips and tricks in the future. 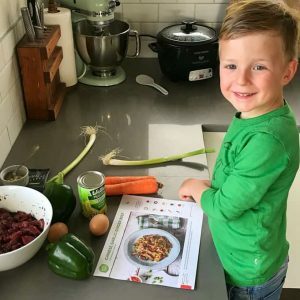 It’s super simple to sign up to HelloFresh and once you have decided which meal plan you are going to use you can see all of the recipes 5 weeks in advance. It was great discovering new meals that I wouldn’t of thought of myself and every meal has been so tasty. The SEARED PORK & TARRAGON SAUCE was so delicious and the wilted greens were an amazing compliment to it. All of the meals made a lot of food so it was very convenient to know that lunch was sorted for the next day. My husband Mike who is a builder loved having tasty lunches to take to work. 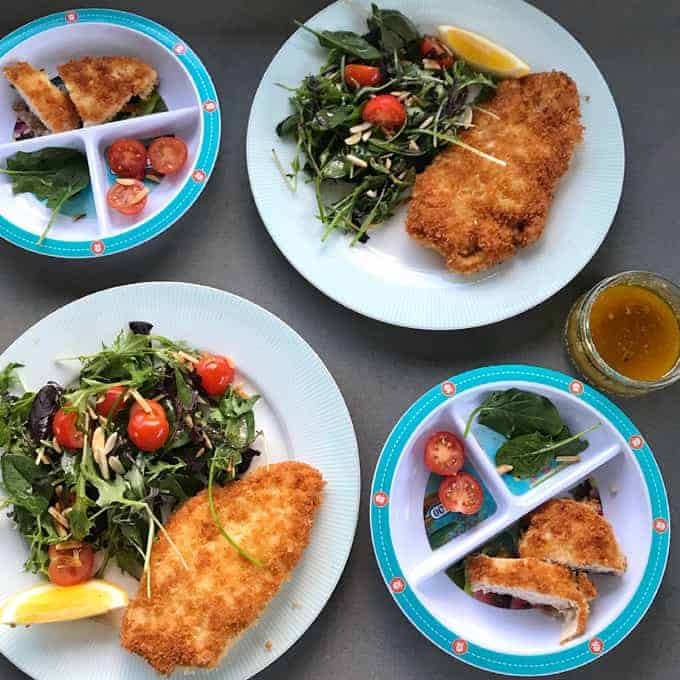 Another dinner we had was a delicious crumbed chicken with tasty salad. I cut up the chicken into smaller pieces for the boys like little nuggets. The lemon butter sauce was so tasty and I would never thought of making a sauce like that. These meals were nutritious for my family, packed full of veggies, healthy carbs and lean proteins. The recipe cards are well laid out and easy to read. They are broken down into different steps and tell you what you should be doing at each step with each ingredient. 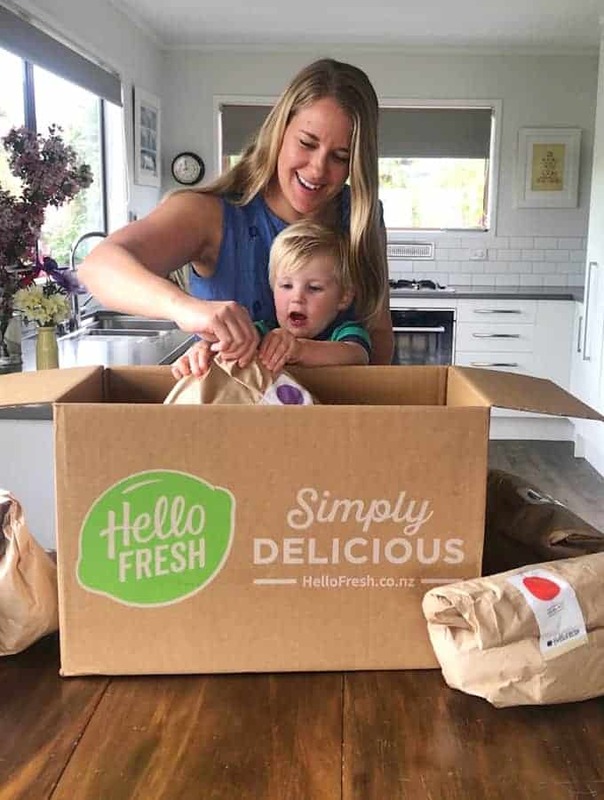 It’s so exciting that HelloFresh has launched in New Zealand, it is one of the most popular food delivery services around the world, and I can see why. So if you want to try this for yourself and receive $35 off your first box click here. I’m sure you will love the meals as much as my family did. 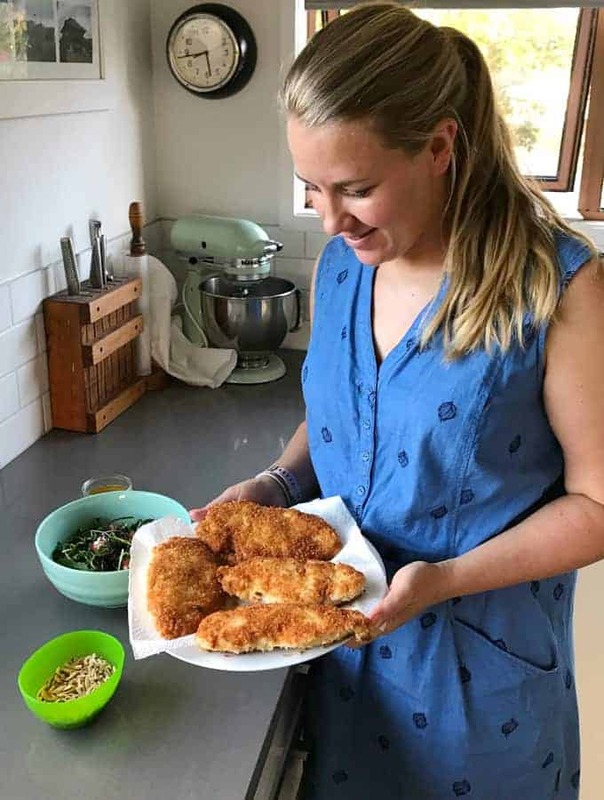 Disclosure: Thank you to HelloFresh for partnering with me on this website post, the content and opinions are my own.